For women who are winding down their childbearing years or men and women who’ve lost considerable weight, a tummy tuck can bridge the gap to a newer, slimmer body shape. 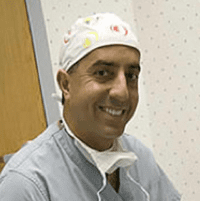 At Pousti Plastic Surgery, Tom Pousti MD, FACS, offers tummy tucks to his clients in the San Diego area who want flatter bellies that erase the signs of the past. To learn about what an abdominoplasty can do for you, call the office or request an appointment using the online scheduler. Please visit our photo gallery to see thousands of patient before and after images. These represent the more common reasons why a little more than 140,000 people underwent an abdominoplasty in 2017, including both men and women. The bottom line is that a tummy tuck isn’t a weight loss program, but is a body contouring procedure that reshapes your abdomen by removing excess skin and repairing your abdominal muscles, leaving it flatter and more toned. What are my options when it comes to a tummy tuck? These procedures range from minor removal of hanging skin on your lower abdomen (a mini tummy tuck) to a major abdominoplasty where Dr. Pousti tightens your entire abdomen for a full body lift. In all cases, he removes as much excess skin and fatty tissue as is practical and safe to create the desired sculptured look. He also tries to remove any stretch marks along with the excess skin, though he may not be able to remove all stretch-marked tissue. During your tummy tuck procedure, Dr. Pousti makes an incision along your lower abdomen and peels back your skin to reveal the abdominal muscles underneath. In many cases, these muscles have separated, so he starts by repairing them. Then Dr. Pousti removes adipose fat from your abdomen through liposuction if you’ve opted for this part of the procedure. When he’s finished, he pulls your skin back down taut and removes the excess tissue. After making a new hole for your belly button, if you’re having a full tummy tuck, he sutures the two ends together. You should plan on resting in bed for the first week after your tummy tuck, and any activity after that shouldn’t stretch your abdomen (you may be hunched over for the first few weeks). Dr. Pousti and his team give you full aftercare instructions, and they monitor your recovery and let you know when you can start to resume normal activities. If you’d like to learn more about how a tummy tuck can sculpture a flatter, more toned belly, call Pousti Plastic Surgery or use the online scheduler.